Hello! This is a post from yesterday as I’ve been so busy recently time just slips away and I couldn’t blog yesterday. Like I said, yesterday was a really unexpected busy day. In the morning me and Jax met my brother and went charity shopping! Unfortunately I didn’t find anything exciting but my quest continues to find things to up-cycle. I can’t wait for the summer car boots!! When we got home, me and Ole’s mum Julia went fabric shopping, as one of my goals for this year is to learn to sew :)) and I’ve got some exciting plans coming up which I will share on completion!! Late afternoon, we all went to meet Ole’s nan, auntie and cousin’s girlfriend at Woodcote Nursery. I’ve never been before but I have heard good reviews about it (I know it’s just a garden centre) but it’s HUGE! They’ve got a lovely café which offers locally produced soups, sandwiches, cakes etc etc. I decided to try their ‘Hot Chocolate Royale’; hot chocolate with whipped cream, marshmallows and a flake – irresistible on a cold afternoon right? Everyone else had pots of tea to share but Jax is one of those babies that loves to feel included in what everyone else is up to, so I let him drink the spare milk from a mug – hence the photo! 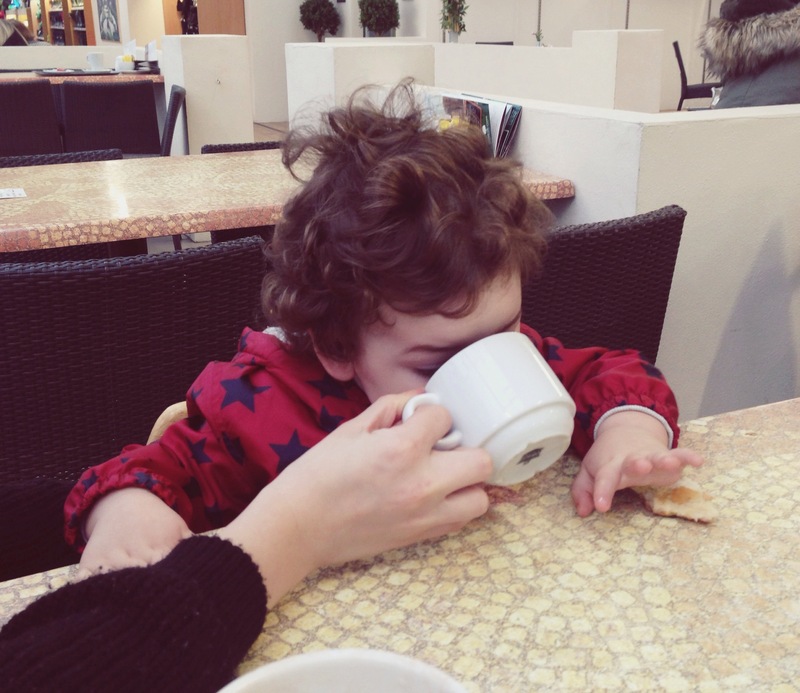 He’s also at the age where he feels like he can do absolutely everything on his own, including holding a mug of milk… well we can all guess how that ended hahah! As well as the obvious plants, garden tools and bird seed, Woodcote Nursery has a large selection of Homewares (including Cath Kidston Kitchenware!!!!!! ), Books, Bath & Shower Accessories and Toys for children on offer. They have a ‘Bomb Cosmetics’ section and they currently have a 3 for £5 deal on their bombs/blasters, soap slices and creamers. 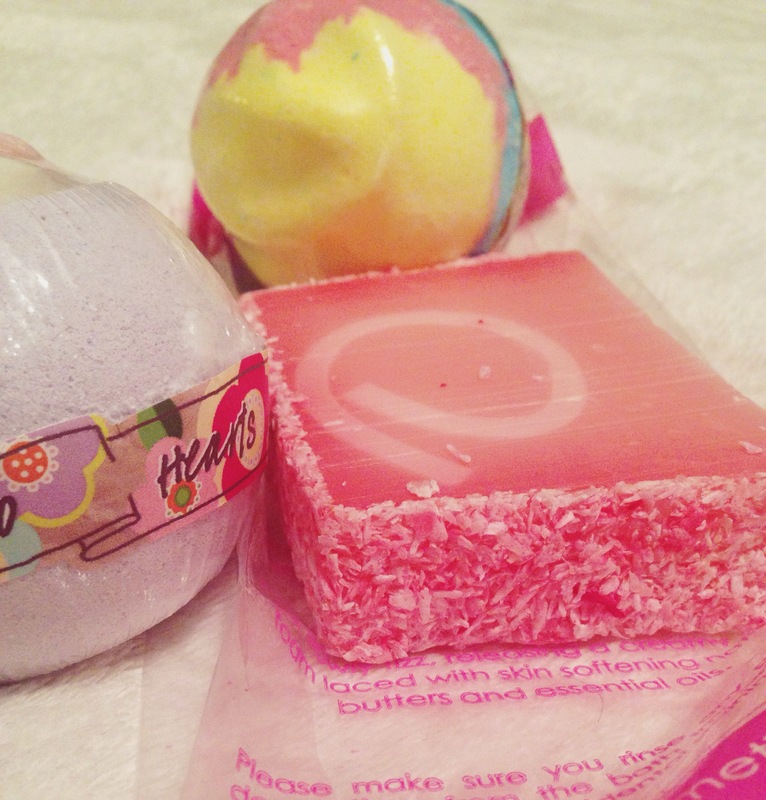 Along with that, I bought the ‘Two Hearts’ bath blaster and the ‘Hippy Hippy Shake’ bath blaster. 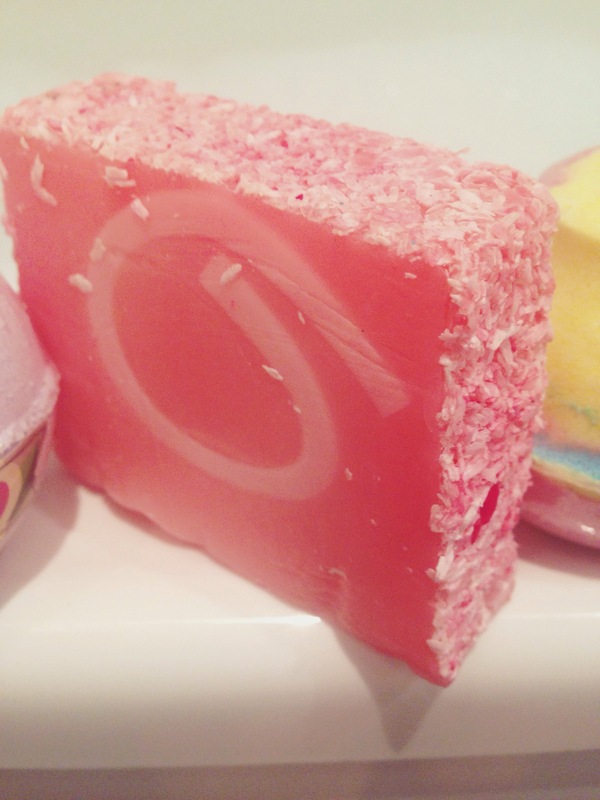 Two Hearts has a caramel and vanilla base with a mixed berry and lavender swirl. Hippy Hippy Shake has a grape, pear and blueberry scent including patchouli and sage essential oils. I can’t wait to put them in the bath!! Can anyone recommend any good charity shops in South East London? Or any websites? What’s your favourite bath/shower/body shops?